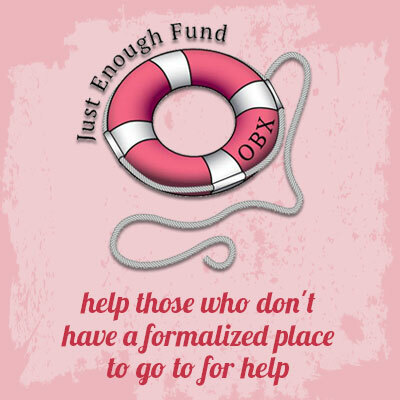 The Just Enough Fund was established to help those who don't have a formalized place to go to for help. They make just enough to support themselves day to day but not enough to handle their problem/opportunity and too much to get help from the normal agencies and organizations that exist. Each year we plan to identify a local individual or family and fundraise for them for the entire year. We are not limiting ourselves to health issues - it might be helping someone get education or training to follow a dream, some special or unusual circumstance where a family/person has the opportunity to beat a disease or turn a vision into reality.